Few experiences can match the pleasure of savoring a homegrown vegetable, especially if you raised it yourself from a seed or seedling. In almost every case, the flavor and texture of varieties you can grow far exceed the best grocery store produce. Growing vegetables is also a pleasurable activity in its own right, giving you an excuse to spend time outdoors in the warm sun. 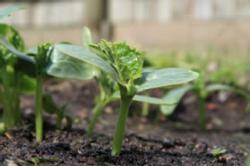 Growing vegetables doesn't have to be difficult or time-consuming, especially if you follow the advice on this site. You'll soon discover, however, that experience really is the best teacher. As your knowledge grows, so will the rewards of this productive pastime. Planting Guide - A useful chart that shows planting and harvesting dates of warm and cool season crops that do well in our area. Crop Rotation lists the top ten vegetable families and their members to help vegetable gardeners plan a crop rotation schedule. From Sacramento MGs. Growing Vegetables in containers - You can still grow fresh vegetables even if you don't have the yard to plant a garden in. Try container gardening! 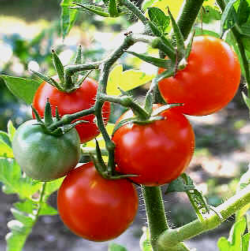 Growing Tomatoes in the Home Garden - A helpful 10 page guide on growing tomatoes that covers planting, varieties and common problems found in the home garden. 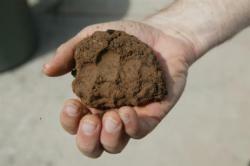 Soils vary greatly from one place to another. The secret is to know the nature of the soil, the kinds of problems to expect and what can be done about them. Soil Solarization - UC IPM program explanation of soil solarization for gardens and landscapes using the heat of the sun to manage soilborne pests. How Do I Water My Garden? Cover cropping (PDF 168kb) in home vegetable gardens explains how and why to plant a cover crop to improve soil quality and nutrition. 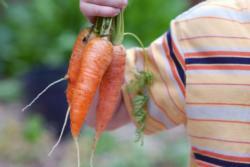 UC CA Garden Web Vegetable web-site - Includes information on planning your garden, caring for plants and harvesting vegetables.